Foreign Exchange is the fastest moving financial instrument. The Foreign Exchange market is also the most liquid and largest global financial market. The Bank for International Settlements reported that daily turnover by April 2007 had reached an astronomical volume of close to US$3 trillion. To put this into perspective, US$3 trillion is ten times the size of the daily transaction volume of all the global equity markets taken together. Yet despite this huge volume, Forex trading until recently was previously the domain of the Commercial and Investment banks, large private investors, hedge funds and large non banking corporations. 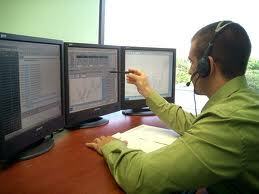 Long trading hours – It is possible to trade the Foreign Exchange Market online almost 24 / 7. For European based traders, The market opens late Sunday evening with the opening of the Australian financial day. It ends with the New York close at 10 pm Friday night. The only day you can’t trade is a Saturday. Liquidity – The huge liquidity of the Forex market is reflected in a very tight bid / offer spread which can be as low as two pips online on the major currency pairs; subsequently, a position can be opened up without paying away the spread; you can also instantaneously buy and sell at will meaning you are never locked into a trade. 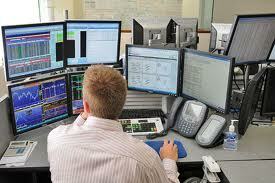 With tight spreads traders can enter positions for time periods even as short as minutes and hours. Market Transparency – Out of all the financial markets, The Foreign Exchange market offers the highest level of market transparency. Because of this, order executions and fill confirmations occur within seconds. Thanks to its efficiency, there is little or no slippage of market price for the execution of even large orders. Profit from Rising and Falling markets – There are no restrictions for directional trading in the Foreign Exchange Market – if you think a currency pair is going to increase in value; you can go long, or buy it; if you think it could decrease in value you can go short or sell it. 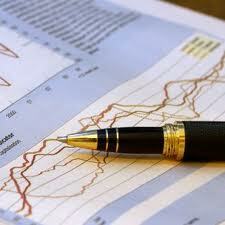 There are numerous different strategies and many a forex tip trading that can be undertaken. Gearing – The substantial gearing or leverage available from online forex trading firms is a powerful instrument. Rather than just loading up on risk as people often incorrectly assume, gearing is essential in the Forex market. This is because the average daily percentage move of a major currency is less than 1%, whereas a stock price could move 10% on any given day. Gearing is the ability to trade more money on the market than what is actually in the trader’s account. Many investors from US are attracted to the foreign exchange market because of the potential profits that can be made quickly. However, it does not come without risks. If you spend some time learning how the experts trade in Forex, you can minimize those risks. Follow these suggestions which will help you avoid costly mistakes. Every Forex trader has three choices. They need to decide if they should get into a long position, short position or stay out of the market. When the market is trending up, long positions make the most sense. Short positions are best in a downward-trending market. Use the Forex trading demo to learn the platform and try out different forex trading strategies but remember that it can’t teach you good habits and make you successful. In demo mode you are not using your own money, so the psychological effect is not the same as in the case of a real trade. Learn the platform and make small trades using your own money to get the experience you need for larger deals. A great tip for trading forex is to never think in terms of absolutes. You should always think in terms of probabilities. A trade is never certain no matter how confident you are in it. A trade that appears to be a great one can turn sour. Sometimes, there is no way you can anticipate when this occurs. You just have to accept your loss and move on. If you can bring strong math skills to your Forex trading strategies, concentrate on “technical” trading. 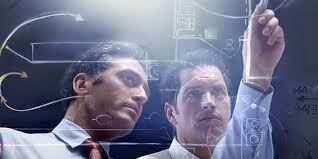 Technical trading focuses on analyzing the markets themselves to predict future behavior. Advanced tools will help you divine the trends on the markets if you are comfortable with numbers. Technical trading is not for everyone but it can be highly effective. Always do your best to manage risk in Forex trading. Risk management is even more important than profit targets. Remember that one big loss could entirely demolish your trading account, so it is vital that you always follow this rule if you want to be successful and continue with online forex trading. Done persistently and consistently, trading in the foreign exchange market is a good way to earn profit for yourself. 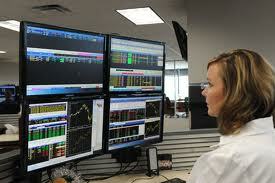 But jumping into foreign exchange trading has its risks and rewards as well as excitement and challenges. However, approached correctly with the right strategies, it can net traders with great rewards. Before entering the foreign exchange market, there are some simple tips you should consider. The forex tips found in this article does not guarantee success but is certainly worthy of consideration. TIP #1: Plan your strategy around a Trading Plan. This includes focusing on setting a profit target. Ten Pips might be a good starting limit. Generally, the lower the spread, the easier it will be for you to achieve 10 pips. Learning to exit the trade at 10 is a worthwhile pursuit. Setting your own limit should meet the goal of balancing risk and reward. TIP #2: Research. Research the currency charts, country economic reports and their effect on the currency money. From this research you will be able to determine the highs and lows of any comparison trading pair. From this research you next focus on one pair. Further questions and research should reveal the forces that support or create resistance. You’ll research trends in the 1 and 4 hour charts of that one currency pair your focus is on. As simple as it sounds, this a conservative versus aggressive approach. Once you’ve gain more confidence, you can get more aggressive by taking on more pips. TIP #3: Start small. Anything good and worthwhile has small beginnings and yours is no different. Set up a trading budget you can work from and not depend your life on. Whether it is risking $10,000 or $10 million, your trading budget should be realistic. After all, money is money and time and money go hand in hand with forex. TIP #4: Set up a daily limit on losses. To complement your profit target, you must balance your pip gains and losses within a net single digit percentage of your capital. Be flexible but not totally reactive. Adjust your limits based on market conditions. TIP #5: Set a daily schedule with a time limit. Forex trading is like a sprint or a marathon on a 24 hour clock. Make your trading routine a process. It’s easy to get drawn into the market’s movements and time is money– anyway you look at it. If you can’t earn the 10 pips during a set time limit, leave the computer and with the stops and limits on automatic. How long should your daily schedule be? It depends on you but don’t trade while in a state of mental exhaustion. Time spent daily should mirror your research, testing , and trading.You day may start early on U.S. Eastern Standard Time (EST) to take advantage of European market charts. BONUS TIP: Consider automating your trading through available tools. These are categorized as trading systems, software, and tools called robots that deliver data to you for analysis and decision making. But just don’t get any system. Compare one first before trading. Perform your own due diligence and cross-examination on the features and benefits including the system’s track record. You can also purchase software to practice trading by testing strategies based on historical data. There are no guarantees in forex trading. It’s still a high-risk activity in the financial market. Managing and dealing with the financial risk in the currency market can give you with opportunities and there is no limit for your success. By considering these simple forex tips you’re quite possibly on your way to forex trading success.